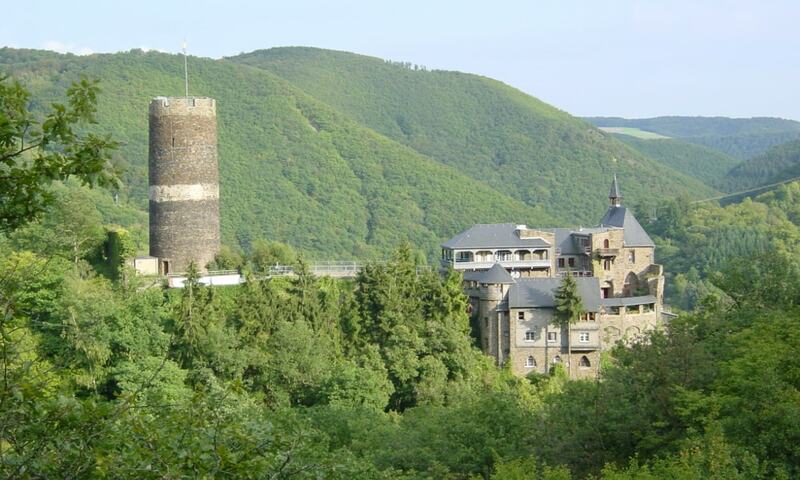 Bischofstein Castle is a castle on the Moselle river in Germany. It was a stronghold belonging to the Archbishops of Treves. A characteristic attribute of the castle are its tall cylindrical donjon tower girt round with a white plaster streak about halfway up and the ruined chapel adjoining it. The castle was built in 1270, destroyed in 1689 and rebuilt again in 1930. It was purchased in 1954 by Fichte Gymnasium in Krefeld, Germany and currently serves as the school's retreat center.